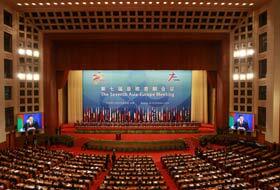 The Seventh Asia-Europe Meeting (ASEM 7) was held in Beijing on 24 and 25 October 2008. The Summit was attended by the Heads of State and Government of sixteen Asian and twenty-seven European nations, the President of the European Commission and the Secretary-General of ASEAN Secretariat. 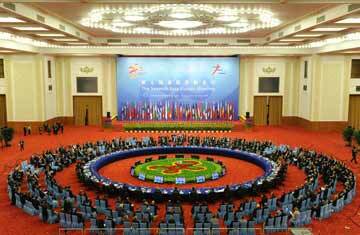 The Seventh Asia-Europe Meeting (ASEM 7) was held in Beijing 24-25 October 2008. The summit will be the first gathering of leaders of 45 ASEM partners since its second round of enlargement in 2006. 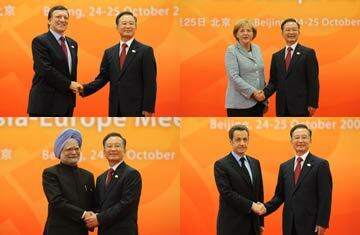 The Asia-Europe Meeting (ASEM) is an inter-governmental forum between Asia and Europe. In March 1996, the First ASEM Summit was held in Bangkok, Thailand, marking the official birth of ASEM.